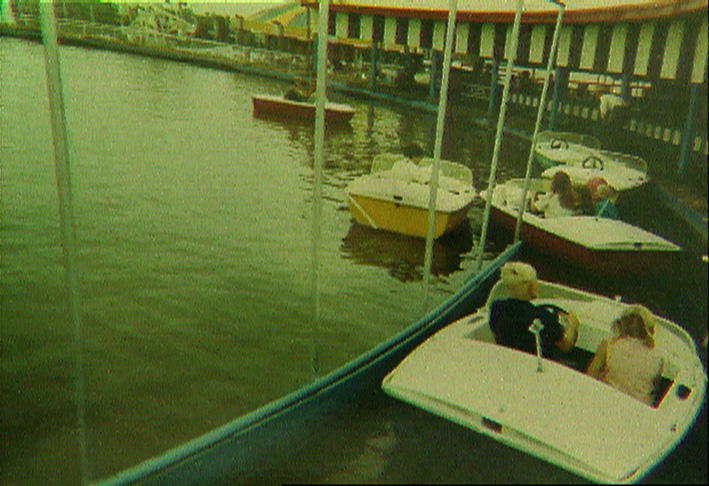 Lowell Burch's Skyline Park home movie can be seen tonight (Thur, 9/26/2013) on RSU-TV's "Green Country People and Places" at 7:30 pm, . 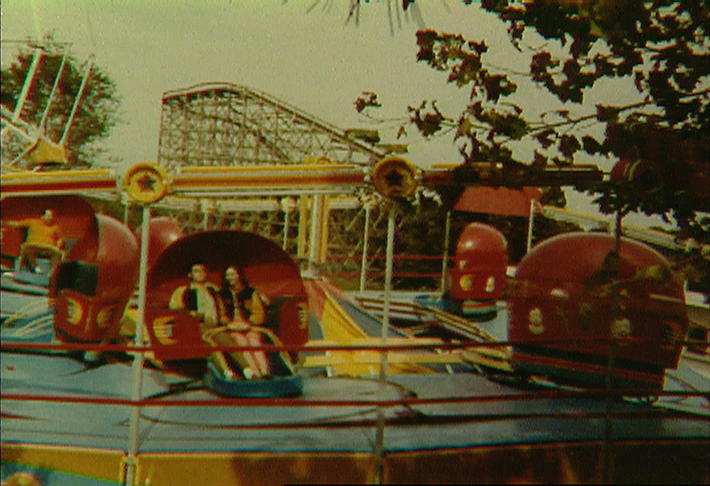 The show is about Tulsa amusement parks of the past. Producers are Bryan Crain and Tim Yoder. See it on KRSC, broadcast channel 35.1, Cox 109 or 793. Other showings: Sun 9/29 @ 12:30 pm, and Thur Oct 3 @ 7:30 pm. See Bryan's moody photos of the remains of Lakeview (near Mohawk Park) on TTM's Flickr site. When I interned at Channel 6, I did a package on Skyline. I met the last person to own it (Farris Saffa) at the old site. He brought a bunch of pictures with him and I shot them on Beta. 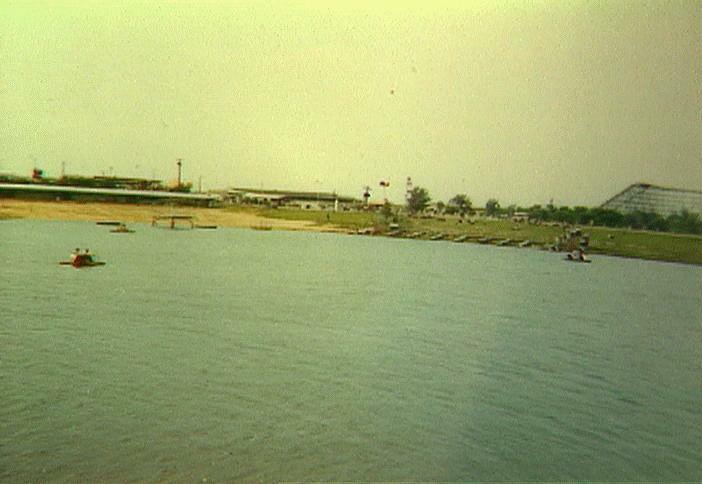 Skyline was owned by F. H. "Red" Cox and operated during the 50s and 60s until it was brought by Farris Saffa in '69 when it became Indian Nations Park. I remember going with my parents to some American Airlines picnics at the park. It had a really good roller coaster as I remember. "I was thinkin' about that giant yellow slide from the late 60's-early 70's that we rode down on gunnysacks, and them humps on it that crushed our vertibrates. I don't remember where it was located, but it just popped back into me brain. Anyone else get crippled on it?" I believe he might have been talking about the big slide at Skyline Amusement Park, which was north of Glenpool on 121st Street. 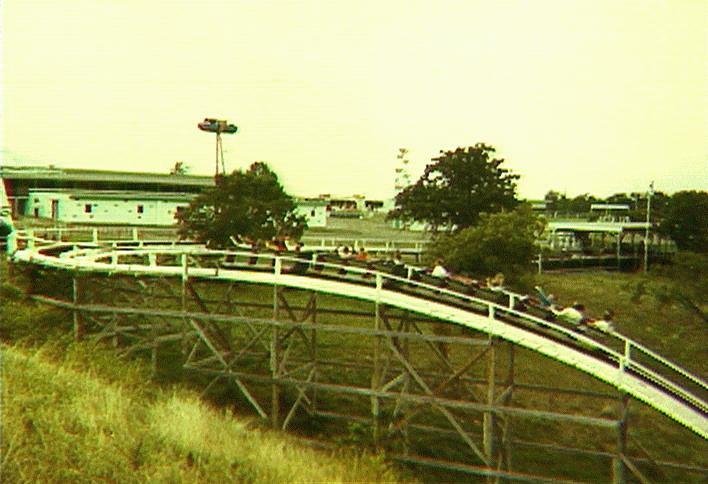 It had older rides than Bell's, and had what I believe was billed as the "longest roller coaster in the world." It seemed to go for miles. 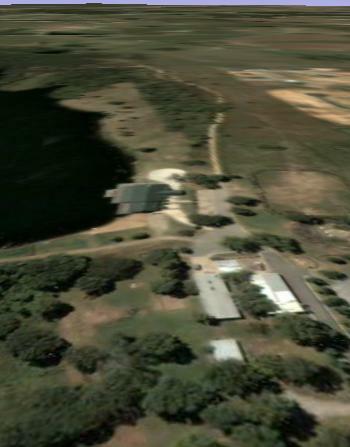 It also had a large pond for swimming and a train ride. 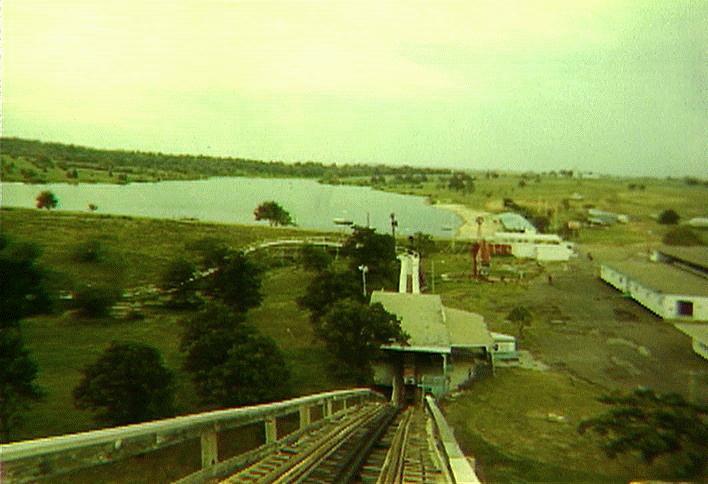 ...We also went to the old Skyline View Amusement park that had a swimming lake along with docks that you could swim to, tall diving board and bath house to change in. It had a real sandy beach area and was great. Got many a sunburn there. 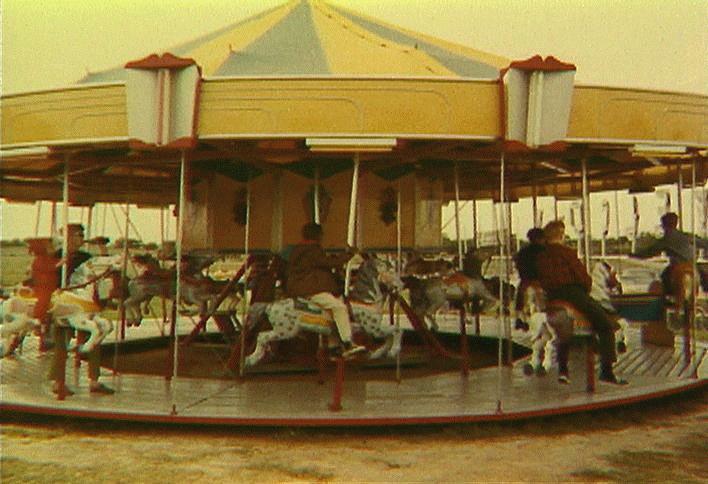 I remember it had a merry-go-round and a concession that had a dance floor. 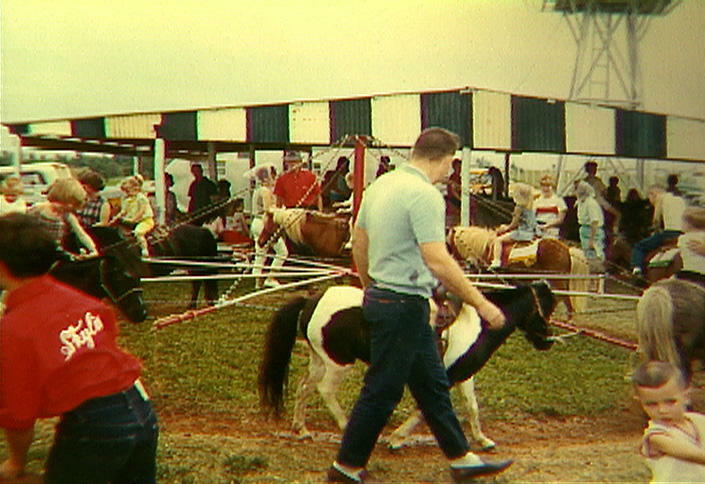 Many of us took our first (and maybe only) real pony ride here. (from Guestbook 162) Dave Harmon said: I remember going to Skyline in '59 for a hayride. Skyline Park's roller coaster, the Sky King. At one time, it was the world's longest. 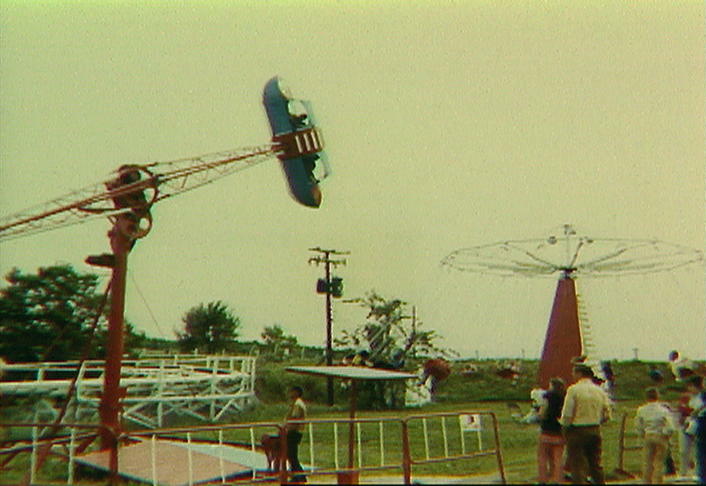 The Skyline Park roller coaster was, I believe, called the Sky King. It was a gigantic wooden one that I only rode once. 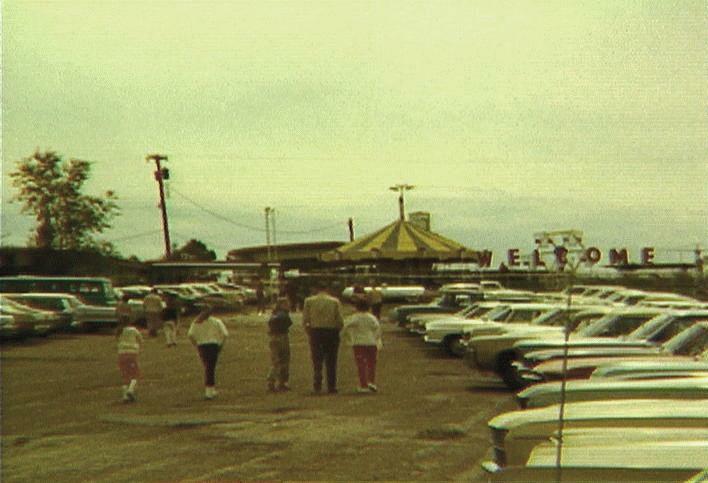 My dad worked at American Airlines and they used to have the company picnic there before it moved to Bell's. Another perspective on the Sky King. Anchors aweigh, mateys, for the electric boat ride. My family used to go to the park in the mid/late 60s. My mom, sister and myself almost drowned in the pond (seen through the eyes of a six year old, I remember it as a big lake) when my mom stepped into a deep hole in the sandy bottom. My grandfather had to jump in fully clothed and rescue us. 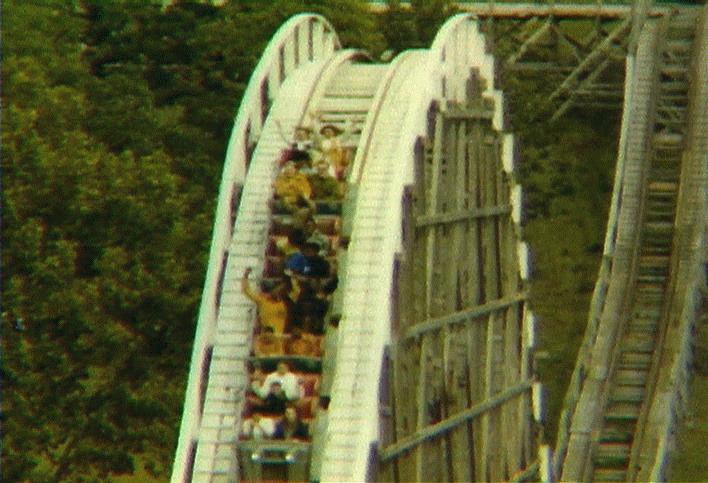 I also remember the old roller coaster as quite a wild ride. Warren Petroleum, where my dad worked, had its company picnic at Skyline one year. 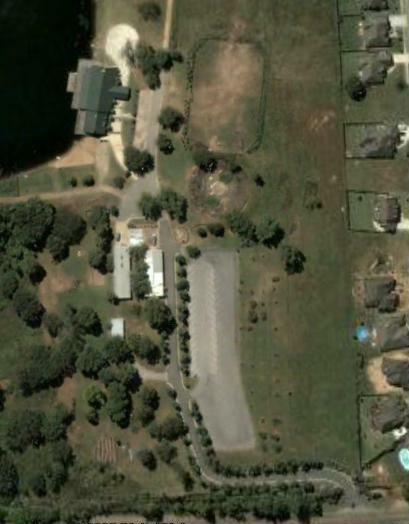 I remember swimming in that pond/lake. It had a sandy bottom, so it was very clear. Using a mask and being able to see something underwater was very important to me as a huge "Sea Hunt" fan. There is a Jenks Centennial Special section in the July 13, 2005 Tulsa World with pix from Skyline Park.